Fish Window Cleaning is the SOLUTION! Fish Window Cleaning – Los Angeles South Bay is working with the Redondo Beach Department of Recreation and Community Services to help Redondo Beach business owners remove scratched glass graffiti from their windows. This restoration project was completed between 06/15/11 to 06/30/11. Fish removed multiple instances of scratched glass graffiti throughout the entire plaza, and installed anti-graffiti film to protect the glass post-restoration. There are 8 stores in the Artesia Plaza that participated in this project. Drop by and visit these stores – you’ll be amazed at how great they look! The City of Redondo Beach is funding/supporting these repairs via it’s Commercial Rehabilitation Program, headed by Robert Hall in the Dept of Recreation & Community Services. The program is designed to help RB business owners remove graffiti and maintain a clean, professional, inviting presences in North Redondo Beach. Contact the Rec & Community Services department to see if you are eligible for this program. 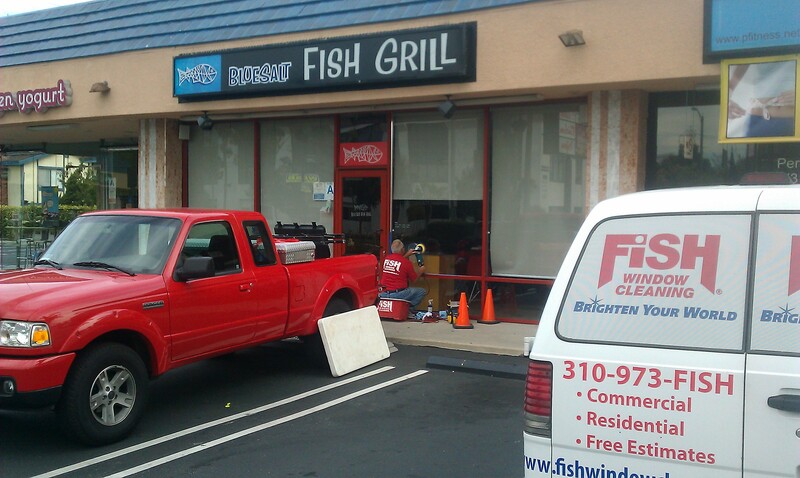 Fish Window Cleaning (known as @FishSouthBay) is an active member with the Redondo Beach Chamber of Commerce, and also serves as Treasurer for the North Redondo Beach Business Association (NRBBA). 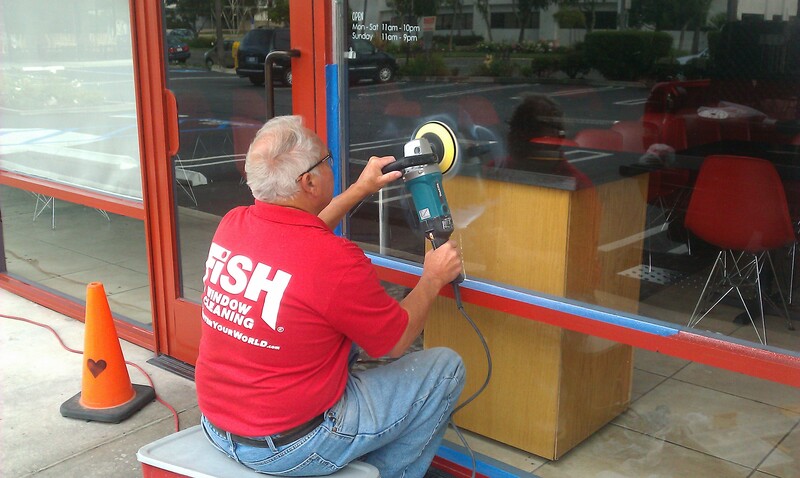 Fish Window Cleaning is committed to removing/reparing all scratched glass in the Beach Cities and making each business’ window SPARKLE through regularly scheduled window cleanings. 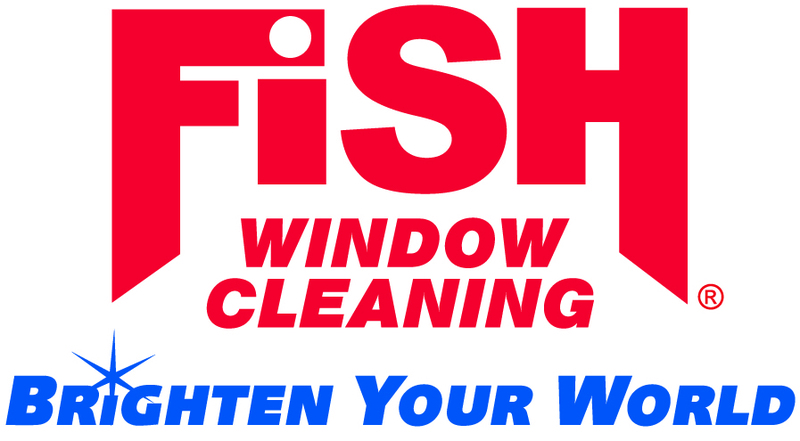 To see how Fish can help your business’ first impression, contact us at 310-973-3474 or find us online at www.FishWindowCleaning.com/FishSouthBay.